XR QuikLiner will be at the 2019 Precast Show in Louisville, KY from February 28th - March 2nd. Visit us at booth #1161! Ready to Discuss How XR QuikLiner Can Help You? Contact us now to get in touch with one of our precast concrete experts. 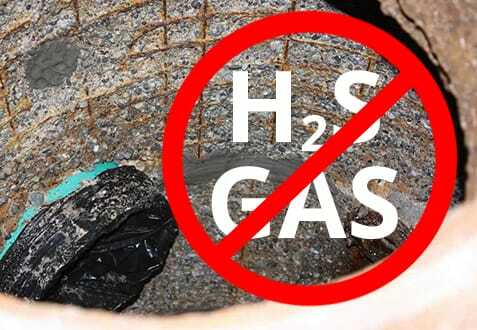 XR QuikLiner is specifically formulated to offer the highest level of protection against H2S gas induced corrosion (MIC) in precast concrete products. 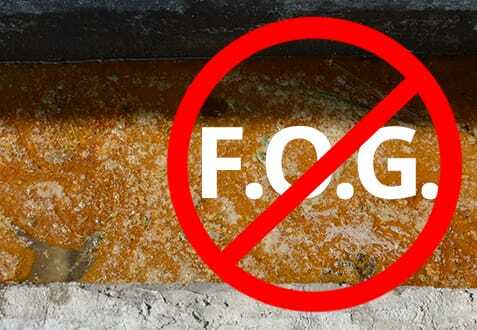 F.O.G. (Fats, Oils, Greases) and concrete definitely don't mix well. XR QuikLiner provides a fully adhered, solid yet flexible protective layer for precast concrete products exposed to these nasties. 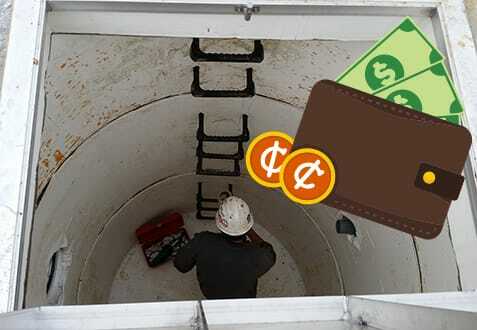 We know saving time and money is a priority. XR QuikLiner is a prefabricated drop-in liner product, virtually eliminating liner related plant labor. Request a consultation with one of our precast concrete experts today. XR QuikLiner is THE prefabricated drop-in membrane liner solution for precast tanks. 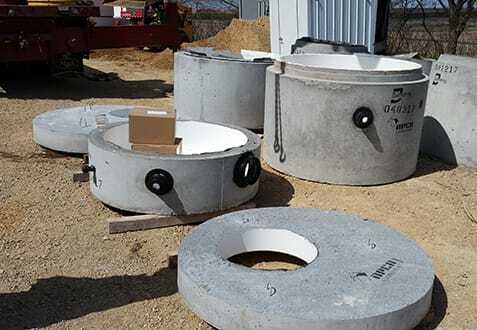 Nothing protects precast concrete manhole structures like XR QuikLiner. 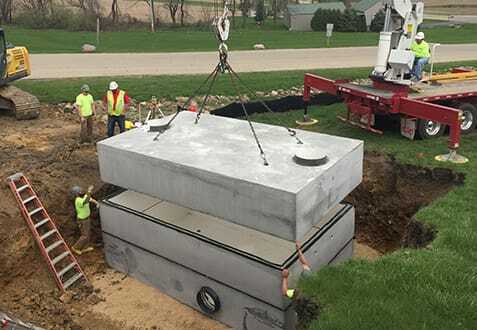 The Grande Cheese expansion project required a tight construction schedule for production of the 8,000-gallon wastewater tank and three manhole distribution risers. Here's what to do when you don't have time for casting, curing, surface treatment and coating. Due to a fixed opening date and an extremely tight schedule, XR QuikLiner was the only solution that could provide the needed protection to hit the deadline.